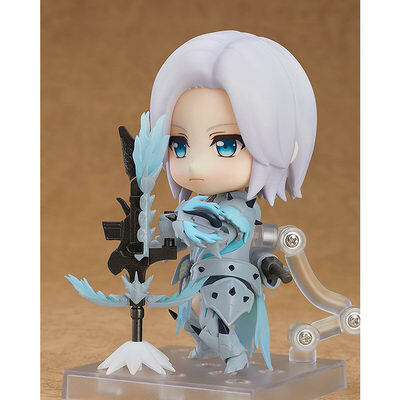 November 13th, 2018 By: GGT Category: 2019/06 release, Figure News. 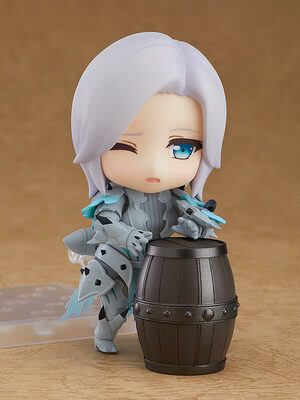 Good Smile Company is going to release the Nendoroid No.1025-DX Hunter: Female Xeno’jiiva Beta Armor Edition DX Ver. ( ハンター♀ ゼノラージβ・エディション DX Ver.) 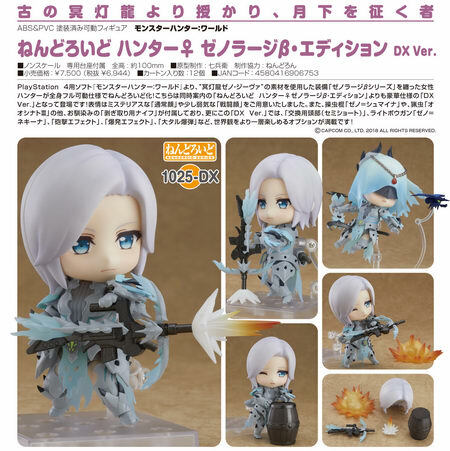 action figure from the “Monster Hunter” game series “Monster Hunter: World” ( モンスターハンター：ワールド ) developed by Capcom. Will be released in June 2019. 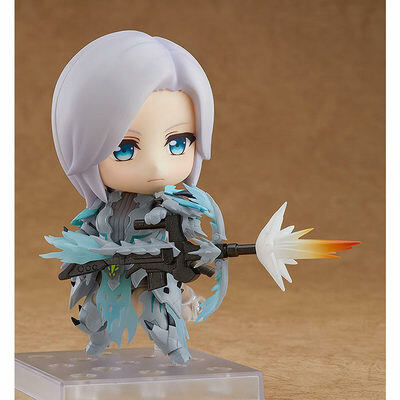 Around 100mm, 6,944 yen. 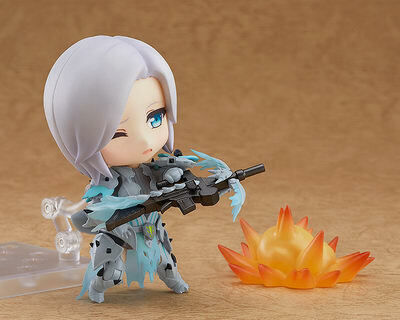 She comes with two face plates including a mysterious standard expression and a weakened battle expression. 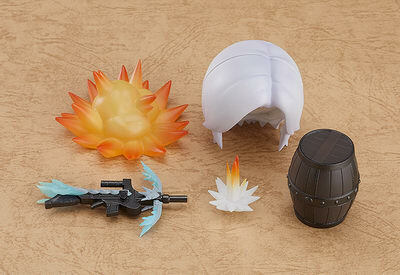 The Insect Glaive Xeno Shmaena, a Grancathar III and her hunter’s trusty carving knife are included as optional parts.